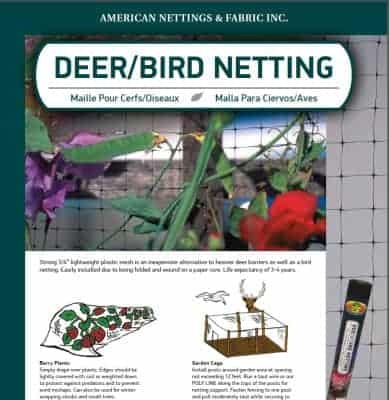 Deer & Bird Netting is an inexpensive alternative to heavier deer barriers and/or bird netting. 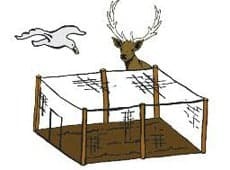 For suggestions and more information, please see Product Description below. 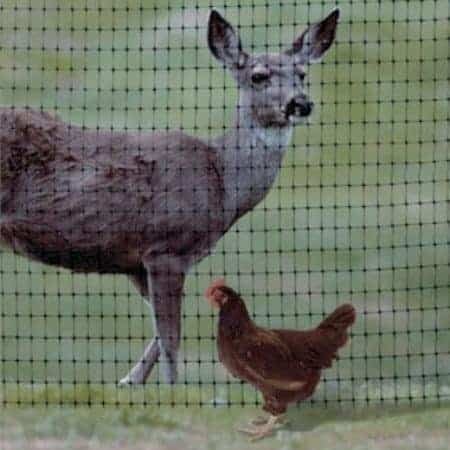 Please see Bird Netting, Deer & Poultry Fencing and/or Heavy Duty Deer Fencing for products with similar applications. 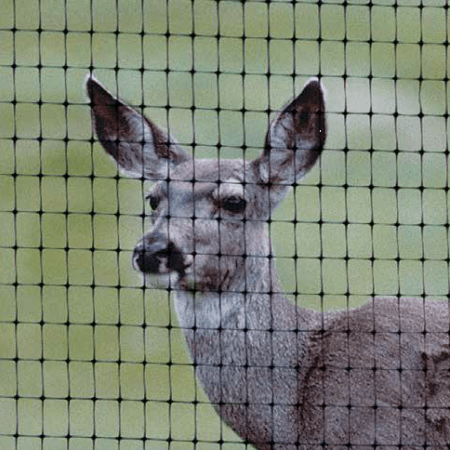 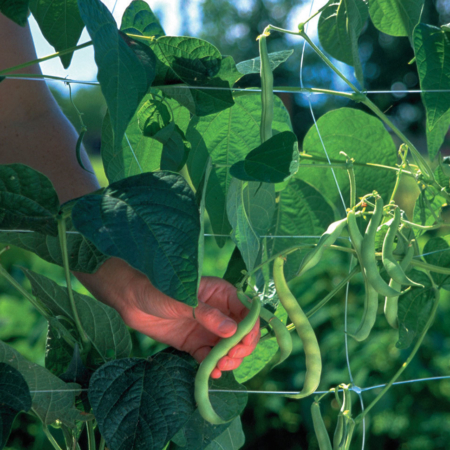 Strong 3/4″ lightweight plastic mesh is an inexpensive alternative to heavier deer barriers as well as a bird netting. 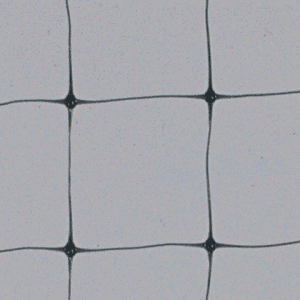 Easily installed due to being folded and wound on a paper core. 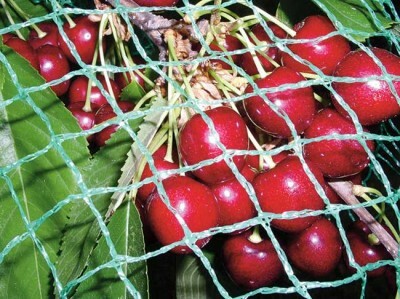 Life expectancy of 3-4 years. 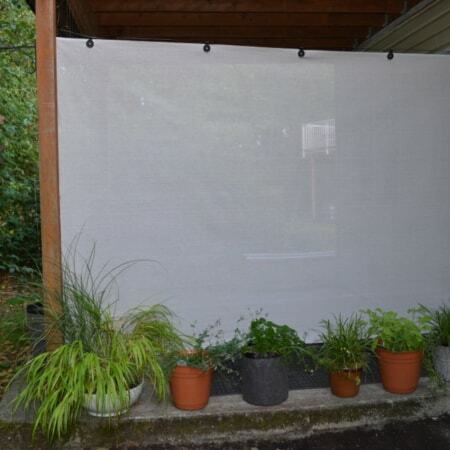 Simply drape over plants. 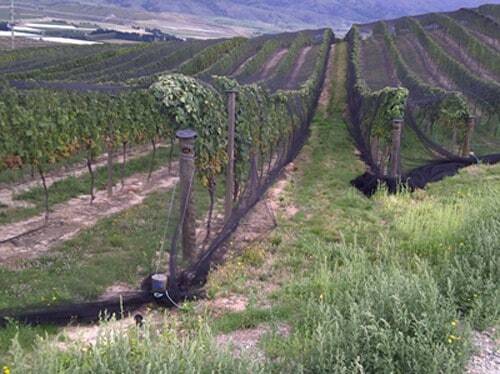 Edges should be lightly covered with soil, weighted down or secured using Fabric Staples to protect against predators and to prevent wind mishaps. 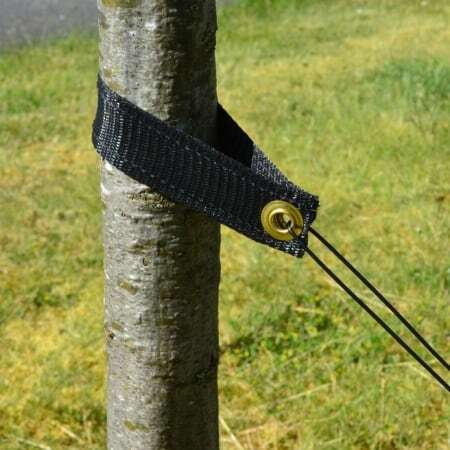 Can also be used for winter wrapping shrubs and small trees.